Over the next three consecutive Wednesdays at the Strand Theatre in Rockland, the Farnsworth Museum will present a special series on the interrelationship between food production/culinary history and paintings that depict food. Drawing on readings in anthropology, archaeology, material culture, social history, cookery texts and art history, Cultures of Desire will highlight some of the more unusual ways humans find and produce sustenance, and how they have created artworks that celebrate the nourishment of body and spirit. 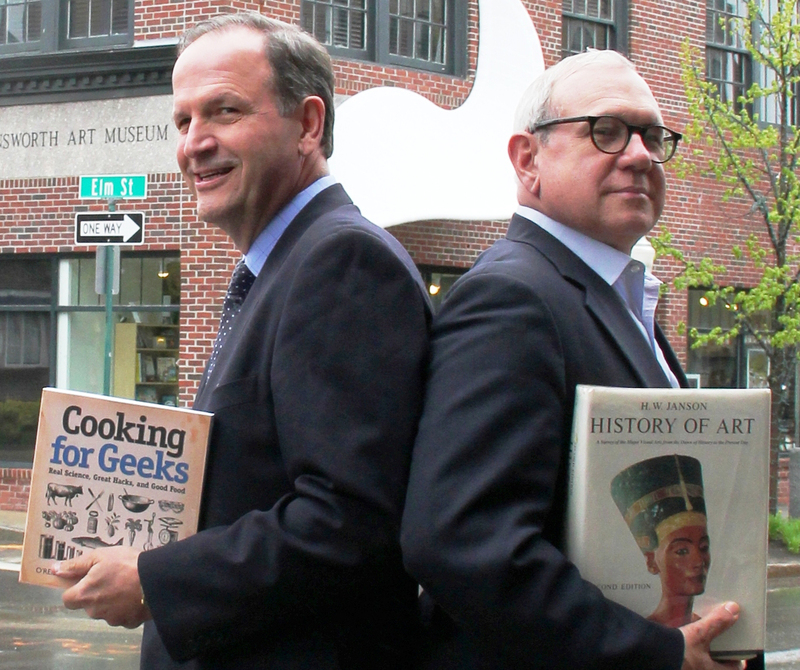 MIT graduate and physician Keith Collins, MD, and Farnsworth Director of Education and Harvard instructor Roger Dell will lead this interdisciplinary exploration of art and food, using images from medical texts to cook books, from prehistoric cave walls to the Food Channel. The initial lecture will trace the history of food and cooking from the Stone Age through the collapse of the Roman Empire. We will examine the extraordinary impact of food technology (hunting, cooking, and agriculture) on human evolution, how it reshaped bodies and minds. These innovations will be depicted though images by early artists on cave walls in south central France, wine bowls in Greece, and mosaic tiles across the Roman Empire. Lecture Two: Eat, Drink and Be Merry! This lecture will focus on the physiological, psychological and sociological aspects of food and cooking. For example, how does food stimulate the reward centers of the brain? Why do people across time and cultures socialize around meals? 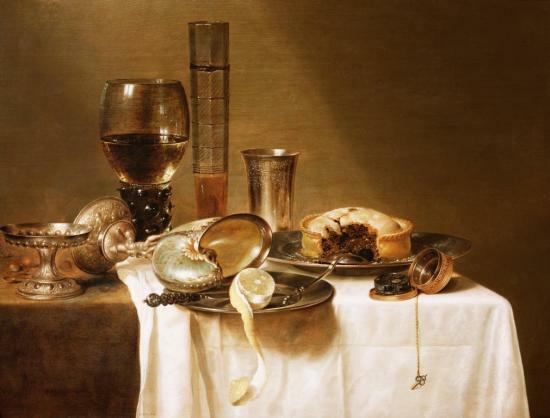 Artworks such as sensuous Dutch still-life paintings will be read as visual poems to national pride and prosperity, filled with glorious depictions of Dutch cheese and butter, and also with international treasures such as French wine, Baltic grain for bread, Indian pepper, and Chinese porcelains. This lecture will begin with an examination of the connection between food, eating and our health. The diets of long-lived cultures around the world will be explored, along with the latest thinking on how to eat for both health and pleasure in the modern world. Another aspect of this lecture will be a survey of how modern and contemporary artists use food in painting, sculpture, photography and film. The lecture and the series will conclude with an exploration of how Maine is fast becoming a leader in one component of a healthier diet: fresh, local, organic foods. This entry was posted in Food and Wine, Travel and tagged A Votre Sante, Culture of Desire, Drink and Be Merry!, Eat, Farnsworth Museum, Keith Collins, Maine, Rockland, Roger Dell, The Dawn of Food, To Your Health!. Bookmark the permalink.